The USA-based forward, said she would have opted for another country if there was a chance, because of the lack of support for women’s football in Nigeria. 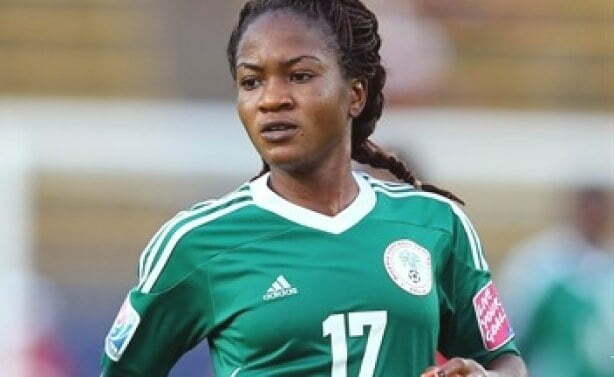 Ordega was part of the Super Falcons team, that won a record 10th African Women Cup of Nations last weekend. “If I had not played for Nigeria at full international level, trust me I would have played somewhere else,” she told AfricanFootball. “The U17 and U20 teams have been blamed for the performances at their recent World Cups, but they were poorly prepared for these competitions. “If this continues, Nigeria will soon cease to be a force in Africa because there will be no future Super Falcons.” The Falcons are currently in Abuja, waiting to receive their bonuses from the Nigeria Football Federation (NFF).